Ginny Seuffert says no matter which route is chosen, students will never regret earning a high school diploma. It’s truly the ticket to higher opportunity! Most parents find teaching primary-grade students to be fun and gratifying. Generally little ones are excited to do their schoolwork, and catch on quickly, rewarding their teacher with happy grins. As the years go by, however, and schoolwork becomes more demanding, more than a few students give their parents a hard time, and at times just wear mom and dad down. When students are not as academically inclined as others their age, or are interested in entering a community college or trade school, parents sometimes allow them to prepare for a GED and end formal study. If the plan is for the teen to someday take over a family business that does not require college, or the teen already has employment, some families even skip the equivalency diploma. Prematurely ending high school studies and forgoing an accredited diploma may not be the best course of action for several reasons. The most essential is that the United States is now a post-Christian society and every Catholic needs solid formation in the Faith in order to live a moral life and to spread the Gospel. No matter which profession, trade, or vocation your children aspire to, they need to understand Catholic doctrine, and be able to apply it to practical life situations. Four years of advanced religion study, reading high quality English-language literature, and studying the principles and movements of history will prepare them to live as patriotic citizens and Catholic Christians. Parents should also keep in mind that as our teens mature into adulthood, they often gain a deeper appreciation of academic subjects, and so might wish to pursue a four-year degree farther down the road. Then too, circumstances change; sometimes, whole industries disappear, or a four-year degree becomes a new requirement in a particular field. Solid academic preparation in high school gives students the background they need to adapt to changing times. A high school diploma is often the entry ticket to greater opportunity. While most colleges and workplaces accept the General Equivalency Diploma, it is not given the same level of respect as a high school issued diploma. College applicants with a GED have the same SAT or ACT testing requirements, and often lack academic preparation needed to attain a high score. Adults with a GED earn almost a quarter of a million dollars LESS over their lifetimes than high school grads, and the vast majority will not graduate from college if they do decide to seek a degree. While the military accepts the GED, applicants need to score higher than high school grads on the Armed Forces Qualifying Test, and for some branches, on vocational testing. Some branches also require additional screening and training. The GED is often not the best option for young adults. 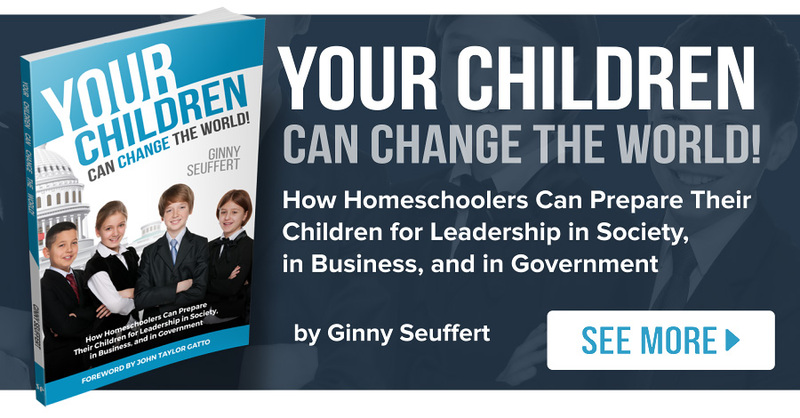 A sizeable number of homeschooling families grant what some call the “Mom Diploma.” Parents issue their own diploma and/or transcript, often following the general course of study for high schools in their region. While parent-issued diplomas are gaining increasing acceptance, it is always wise to verify exactly how your children’s potential colleges would view one. Be aware that colleges might also place greater weight on SAT and ACT testing as they realize educational standards can vary wildly among families. A parent-issued transcript should clearly list the name of the course, for example: “Algebra 1” and a parent issued grade, with a brief explanation of the grading system, for example a four-point system or a five-point system. Parents may include the primary text if it is generally recognized; Algebra 1 by Saxon, for example, or if the title is self-explanatory as in Prose and Poetry of England for a British Literature course. It is not necessarily wise to include long lists of course readings, such as foundational documents for American History, or works of C.S. Lewis and G.K Chesterton in British Literature. Parents may be proud of the depth of learning they required, some schools will give greater weight to more contemporary reading material. A final option for homeschooled high school students is to earn a diploma from an accredited school such as Seton Home Study School. Accreditation means that an independent outside agency has examined Seton’s standards and procedures regarding academics, record keeping, accounting, and business practices and found them to be acceptable. Schools are periodically reevaluated and must demonstrate that they are continually upgrading and improving their programs and practices. A diploma from an accredited school allows colleges to have confidence that schools like Seton are committed to excellence and produce graduates ready for college-level studies. Parents can have confidence, too. 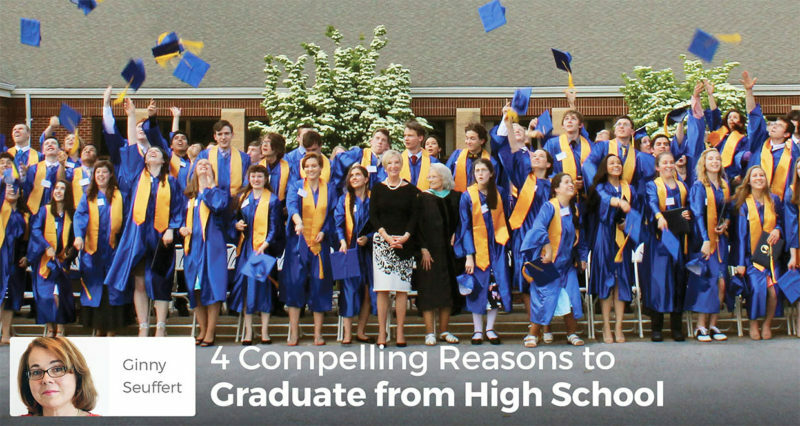 They know a diploma from Seton means that their children have been given superior academic and faith formation, while having the benefit of knowledgeable guidance counselors and teachers to help them reach their full potential. No matter which route parents and students choose, students will never regret earning a high school diploma.